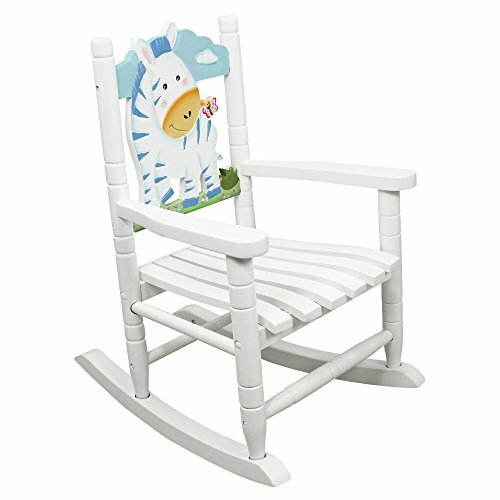 Have your child rock with Fantasy Fields' beautifully themed Zebra Rocking Chair. The hand crafted and painted art work brings the rocker to life and sparks your child’s imagination. Chair features an off white paint, with a mural of a baby zebra against the headboard. Some assembly required. Perfect for ages 3 and up.